Each of the "big-three" credit-reporting agencies (Equifax, Experian, and TransUnion) uses a slightly different method to compile data for their credit reports, so it's important to keep an eye on all three. Details that show up in one agency's report (a bogus account, debt collection, or legal judgment) might not show up in another. ID theft protection services that offer continuous, “real time” monitoring of all three credit bureaus give you the best odds of early fraud detection. 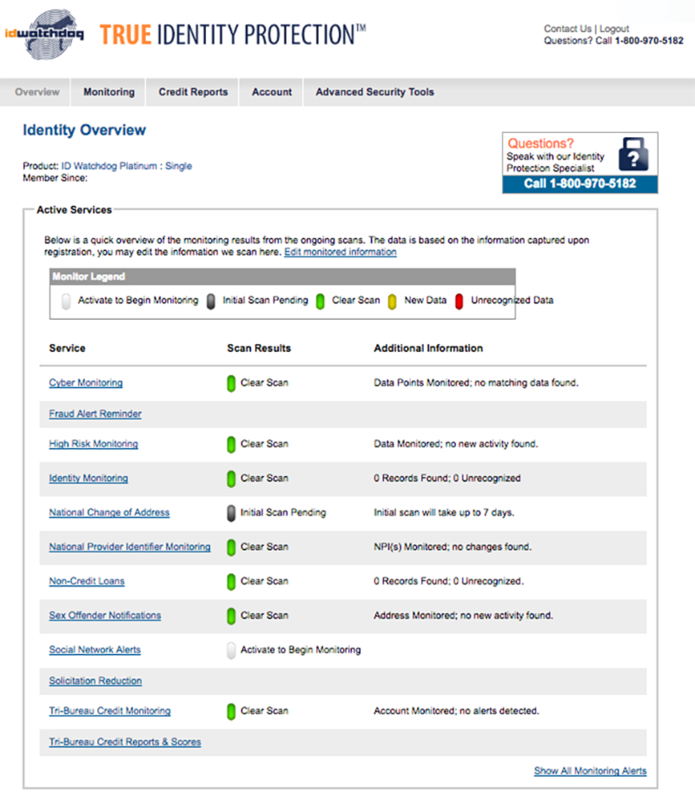 If your credit or identity monitoring service spots something fishy, how does it let you know? We eliminated providers that didn't offer both email and text notifications, along with 24/7 phone availability. 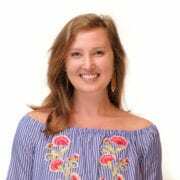 If we received an alert and had questions about what it meant, we would want to know that we could quickly get ahold of a customer service rep to explain the issue and walk us through next steps. Credit protection services are only as good as their ability to communicate and act. In 2014, the Federal Trade Commission estimated the average identity theft victim spent more than 200 hours across 18 months resolving their issues with credit-reporting agencies. Any ID protection service worth paying for can do the work of contacting creditors, employers, and law enforcement agencies on your behalf. This requires temporary power of attorney. Now, there are still several important things you'll have to do on your own — including dealing with the IRS or Social Security Administration. But companies that take on power of attorney save you from having to make every phone call, write every letter, and send every email yourself. All the essential features of a strong identity protection plan at an unbeatable rate. For protection that covers all of the essentials at an affordable price, we recommend Identity Force’s UltraSecure+Credit plan. 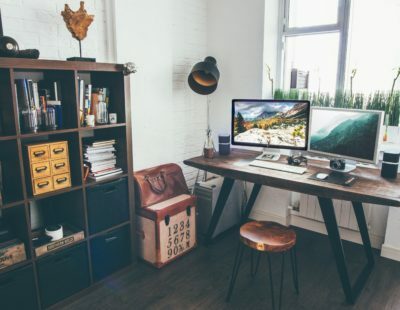 The company offers power of attorney and credit monitoring from all three major credit bureaus, plus personal information monitoring with mobile and email alerts. If a new bank account is opened in your name or if a payday loan is taken out, you’ll hear about it. In the case of suspicious activity, it’ll help you take action after alerted. IdentityForce will complete paperwork, make calls, and handle every detail to restore your identity. For the scope of the company’s monitoring and restoration services, $20 per month is a bargain. 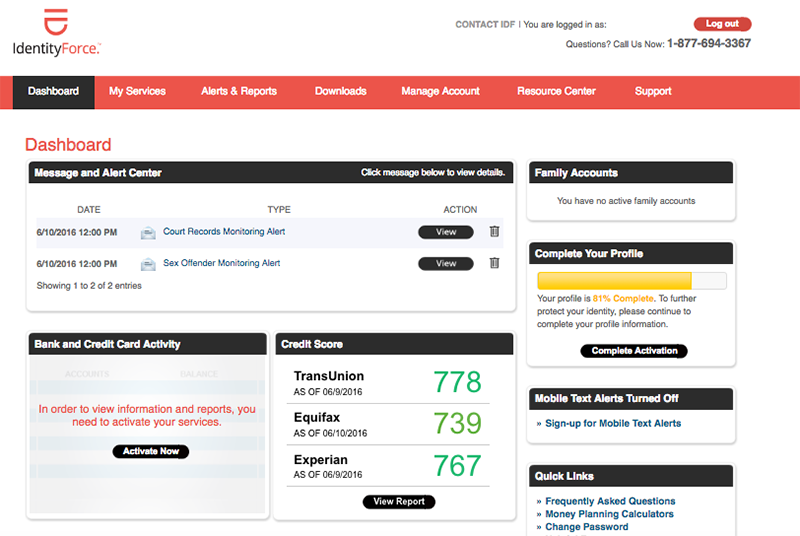 Upon log-in, features that most users will need regularly — including your recent alerts, your credit score, and links to other accounts in your family plan — are displayed prominently on a clean, easy-to-use dashboard. We never had to do much hunting to find what we needed. 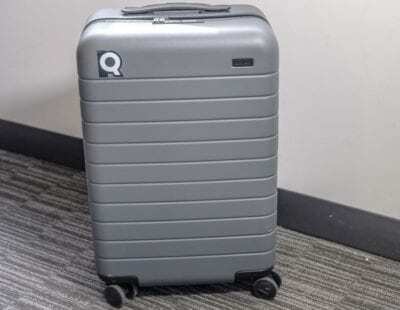 Another standout feature: The company’s affordable family options. Child protection is $3 per month per kid, the cheapest of all our finalists. (If you’re comparing IdentityForce vs. LifeLock, it’s about half the monthly price.) And while there’s no discount for other adults, if you’re willing to pay for a full year upfront, you can sign up for annual membership at $200 and get two months free. IdentityForce's app isn't very feature-rich: It essentially serves as a pager to let you know if you need to contact the company. You can use the app to see whether you've received an alert, but you'll need to log onto the website to view details, and you’ll need to call customer service or use the live chat feature on IdentityForce's website to actually resolve any fraudulent activity. IdentityForce covers ID theft that happens while you’re a subscriber. But if you’re dealing with fallout from issues that you encountered prior to registering, you'll be on your own. IdentityForce won’t swoop in to take the paperwork off your hands unless it was the one to discover the problem. If you’re dealing with pre-existing identity theft, you may want to check out ID Watchdog instead. Feel in the know and in control with the next-level communication abilities of this established pick. LifeLock's mobile app is the sleekest and most functional of all our top picks (with a website portal that’s similarly intuitive). If you conduct most of your business on your phone, LifeLock is the only one of our finalists that allows you to start resolving pending issues directly through the app — no need to make a phone call or wait until you’re back at your computer. LifeLock provides notifications for a handful of scenarios not monitored by our other top picks, including alerts about third-party data breaches and crimes committed in your name. These features aren’t essential, but they do provide an extra level of reassurance. You can also choose to receive notifications via phone call, so a live rep can explain a given alert’s significance. Just be prepared to pay a little more: This plan runs $30 per month, versus IdentityForce’s $20. LifeLock's most basic plan offers comprehensive help if you become a victim of identity theft after signing up for its service. But if you need assistance navigating pre-existing theft, you’ll have to pay extra. If you’re here because you have already found something suspicious, ID Watchdog is your best bet. It goes to bat for you on existing problems. 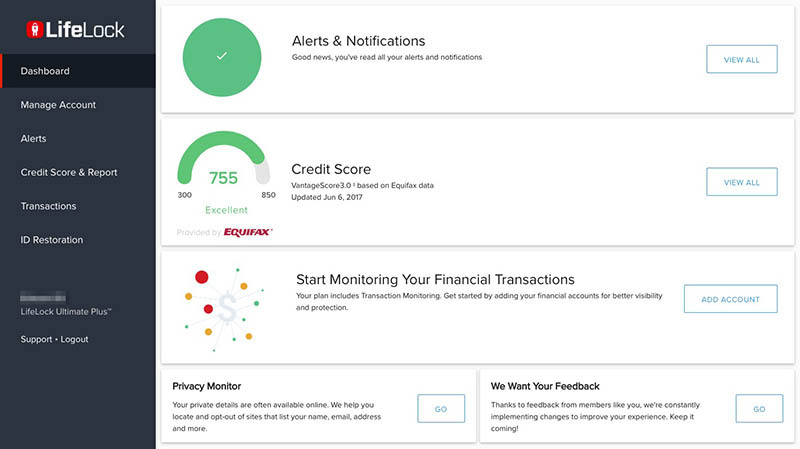 At $20 per month, ID Watchdog’s Platinum Plan offers the alerts and notifications of our other top picks, including credit score and bank account monitoring. 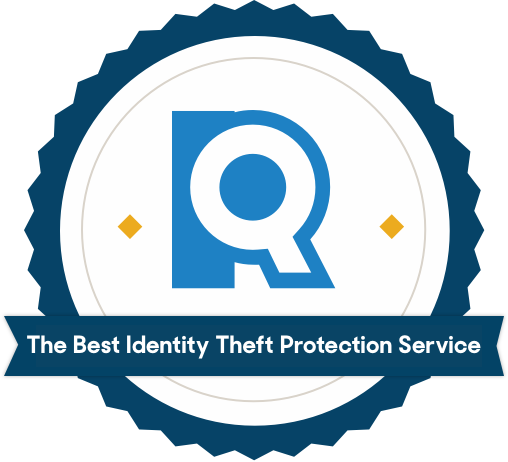 But it adds on a truly standout feature: retroactive protection services, which help you deal with theft that occurred before you were a subscriber. This means you can find a bogus item on one of your credit reports, then enroll in ID Watchdog — and it will still work on your behalf to remove these charges. Restoration for pre-existing theft does carry fees in addition to membership cost. You'll pay $80 per financial record error, $180 per civil court record error, and $280 per criminal court record error. But this service is rare among ID protection services, and it may be worth the additional cost. ID Watchdog’s website is clunky and not intuitive to navigate. The outdated layout and font makes it difficult to find the information you need. Its mobile app isn’t much better, with limited capabilities that require you to call a customer service representative to resolve pending issues. But even if it’s not beautiful, the service package is the best we found, and its 24/7 phone line picked up quickly almost every time we called. There are some types of personal information that identity theft protection services are prohibited from monitoring. They can monitor your credit reports, public records, and some websites, but privacy laws bar them from accessing your medical benefit statements, as well as any tax info or Social Security benefits paid in your name. And because those are fairly common avenues for identity theft, we highly recommend you keep track of these details by requesting records from these agencies yourself. Tax-related identity theft, in which a thief claims your tax refund before you do, is also disturbingly prevalent. In 2015, it accounted for nearly 49% of all reported identity thefts. And because government offices also do not recognize power of attorney to resolve disputes, the most an outside company can do for you in this situation is give you the right forms to fill out. Medical identity theft can exhaust your insurance benefits and pose health threats. When someone else obtains care in your name, your files may be updated to reflect their diagnosis and treatments. This means that if you show up at the hospital in an emergency situation, you might not get the care you need — or you might get treated for something you don’t have. A little vigilance goes long way. Anytime you receive medical treatment, you should get an Explanation of Benefits (EOB) statement or Medicare Summary. Read these line by line and pay special attention to the services provided, the name of the healthcare provider, the date of the service, and your personal information. Errors like a misspelled name or incorrect procedure date can be warning signs of medical identity theft. Report errors like these to your health plan; you’ll find the customer service number on the statement. The bottom line: If anything on your medical statements or notices doesn’t make sense, investigate it. This goes for receiving bills for care or doctor visits that you didn’t experience, too. Utilize free account services with your bank or credit card issuer. Most banks offer free transaction-monitoring tools that notify you whenever an account withdrawal exceeds an established limit. An increasing number of credit card companies also bundle credit scores and monitoring with their standard service. Both are free ways for you to stay up to date on important financial data. Opt-out of prescreened offers. Unsolicited mail from credit card and insurance companies is more than just annoying; it can actually be dangerous if it falls into the wrong hands, since it contains your full name, address, and the promise of approval for credit. OptOutPrescreen.com lets you remove your info from the list that credit bureaus give to banks and insurance companies, so they’ll stop sending you pre-approved offers. You can always check your credit and available offers at a free credit-monitoring website. Make a habit of reviewing your medical and insurance statements. Because of health information privacy laws, identity theft protection services can’t monitor your medical statements. Read bills, collection notices, and any other medical statements to ensure that the information is accurate. How can I correct a mistake in my medical records? Request copies of your medical records. You may have to pay, but medical professionals have to oblige. If they don’t, file a Privacy or Security of Health Information complaint. Account for disclosures. Also ask for an “accounting of disclosures,” a list of when, where, why, and to whom your information has ever been released. Request corrections. If you find any errors, write the health care provider explicitly describing them. Keep copies of everything. What does ID Theft Insurance cover? Most services offer up to million-dollar insurance policies, but it’s good to note that this protection is secondary and can only be applied to certain costs. First off, it’s not intended to cover actual lost funds. Because of the Fair Credit Billing Act (FCBA) and the Electronic Fund Transfer Act (EFTA), you are not legally responsible for paying fraudulent debt. What theft insurance can cover are legal fees, lost wages, and the expenses associated with spending time getting your life back: travel and child care. Note that each element of coverage has its own limit, that costs must be accrued within a set timeframe, and that the aggregate limit usually reflects how much you pay per month: The more expensive your plan, the bigger the insurance payout. Can I DIY my identity theft protection? Visit IdentityTheft.gov — it’s the federal government’s free restitution website. It can walk you through reporting suspicious activity and all of the steps you need to take for recovery. Request your free annual report from each of the three credit bureaus. Staying aware of what your credit should be will help make spotting identity theft easier. 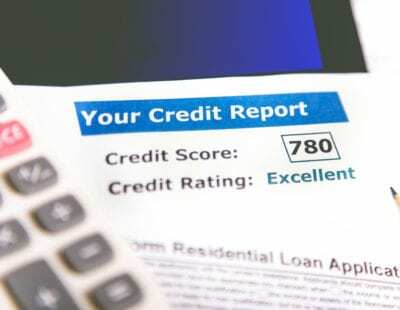 Place a free 90-day fraud alert on your credit file. This directs lenders to verify your identity before opening accounts in your name. Use this wisely, though, as you can only place one per year. If you want to go the extra mile, lock your credit reports with a credit freeze. This costs $5 to $10 and prevents anyone from viewing your files. (It’ll cost about the same if you need to unfreeze your credit to apply for loans or credit cards.) Minniti calls a credit freeze “the most effective method out there for stopping new account fraud.” It’s a pretty cost-effective way to lock down a healthy score. What happens if someone steals my Social Security number? Your Social Security number (SSN) is the ultimate key to stealing your identity. If you think that your SSN has been compromised, you should take immediate action. First, call one of the three credit-reporting agencies: Equifax (1-888-766-008), Experian (1-888-397-3742), or TransUnion (1-800-680-7289). The agency where you place a fraud alert will contact the other two. You’ll want to renew that fraud alert every 90 days until the matter has been settled. After contacting one of the agencies, report the theft to the IRS (1-800-908-4490) and the Federal Trade Commission (1-877-IDTHEFT). Next, file an identity-theft report with your local police — you’ll need this if you get a new SSN. Keep a keen eye and record any fraudulent accounts created (by both the companies the accounts are with and by credit-reporting agencies). Finally, report the theft to the Internet Crime Complaint Center. We’ve been exploring money topics since day one, sifting through providers and services with the help of expert opinion, data collection, and deep research. Along the way, we’ve found standout companies that can protect your money and grow your financial opportunities. Check out our top picks in the reviews below.